Today is the solemnity of the Epiphany of Jesus Christ. The word ‘epiphany’ is of Greek origin and means ‘an appearance’, usually of a deity. We are celebrating the appearance of Jesus to the Gentile represented by the Wise Men or kings who followed the light of a brightly shining star to Bethlehem. Today’s first reading from Isaiah describes a prophecy delivered to the Children of Israel when they were in exile in Babylon. The prophet is describing the future glory of Jerusalem and God’s people. In Babylon they were in darkness. Jerusalem had been flattened and the Temple destroyed, but Isaiah said that a God’s light would shine on them but not on the surrounding nations. Out of the darkness peoples of other nations would be drawn to the light that enveloped God’s people. The Gentile leaders would come with their camel trains bringing gifts of gold and incense in order to worship the God of Israel with great joyfulness. 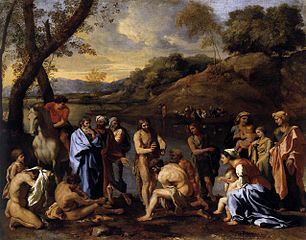 In this image, Isaiah presents God’s people as being a beacon of light beating back the darkness, inviting others to bathe in the light and warmth of God’s truth. This prophecy is realised in the visit of the Wise Men from the gentile lands who were seeking God’s truth and were led by a star that they interpreted as announcing the birth of a new ruler. They did the logical thing and approached King Herod and asked him where the new king was. St Matthew tells us that their question caused a great disturbance among the elites of Jerusalem. Interestingly, the other occasion that Matthew tells us that the elites of Jerusalem were highly disturbed was when Jesus rode into Jerusalem on Palm Sunday, when Jesus faced the final encounter between the kingdom of heaven and the kingdoms of this world. Elites think they are all knowing and that theirs is the only possible viewpoint. When the Wise men did arrive in Bethlehem the first thing they did when the encountered the Christ child was to fall down and worship him. They didn’t just pay homage to him, they worshipped him, and that is quite different. Here then is a model for the Church. Our first priority is to worship God, not to try to get things out of him or to be entertained by the pastor and music group. Worship presumes an ‘I’ – ‘Thou’ relationship in which ‘Thou’, the one who is worshipped is greater than, beyond and yet close to the ‘I’ who is the worshipper. Worship is to acknowledge the worth (worth-ship) of the one who is worshipped. Worship expresses what we believe about the one we worship, so the focus must be God. Worship is not primarily intended to make us feel good, be entertained, give us a buzz or underpin our work for social justice, it is to enable us to enter into a deeper relationship with God. The Wise Men worshipped Jesus first and then offered their gifts which expressed their understanding of the one who they were worshipping. Gold for a king, incense for a deity and myrrh for a life of sacrifice. The Wise Men put flesh on the vision of Isaiah’s prophecy that God would deliver his people so that the Gentiles could be drawn into the light of his truth. The Church is the visible body of Christ on earth commissioned to reflect the light of Christ in the world. The Church is not perfect, but it never has been, and if you read Scripture, God has always used people who are less than perfect to be his chosen vehicle in proclaiming his truth – Abraham, Isaac, David, Peter and Paul are but a few. In a sense, the Church does not have a mission, it is the mission. It is the light of Christ and despite its problems it will shine in the darkness of the world if it gets its priorities right. Worship first, then its structures and programmes that flow from that will also be right. In the last few days Pope Francis has written to the American Bishops telling them that in the crisis we in the West face, we may have to look at the way we manage things but we cannot resolve our crisis simply be reorganising the structures of the Church. We have to change our mind-set, our attention to worship, prayer, the handling of power and money. In other words, like the Wise Men we have to get our priorities right so that the Church can truly be the Light of Christ in the world. So while the children’s song may say that ‘Jesus wants me for a sunbeam’, let each of us start with being a tee light!